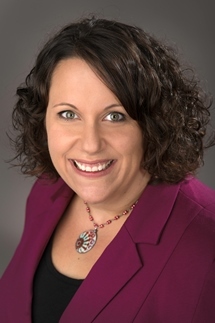 AMHERST, N.Y. – Kristen Luppino-Gholston, who has more than 15 years of experience in the Buffalo Niagara region’s nonprofit sector, has been named director of Daemen College’s Paul A. Saffrin Center for Sustainability and Civic Engagement. Her appointment is effective July 9. In this role, Luppino-Gholston will oversee initiatives for the Saffrin Center, which is dedicated to promoting a lifelong commitment to environmental sustainability and civic responsibility through various efforts, including service learning opportunities in underserved communities and sustainability activities and programming. A licensed social worker, Luppino-Gholston most recently served as director of strategic initiatives at the Western New York Women’s Foundation. She previously held positions at other area nonprofits, including Catholic Charities Women, Infants and Children Program, Child and Family Services Haven House, and People, Inc. Active in the WNY community, Luppino-Gholston serves on the board of Family Promise of Western New York and the Elmwood Village Charter School Community Association. She was a 2017 Buffalo Business First “40 Under 40” honoree and is a member of the University at Buffalo Rho Kappa Social Work Honors Society. She earned a master’s degree in social work from UB and a bachelor’s degree in psychology with a minor in faith, peace, and justice from Boston College. A native of Chappaqua, N.Y., Luppino-Gholston resides in Buffalo.